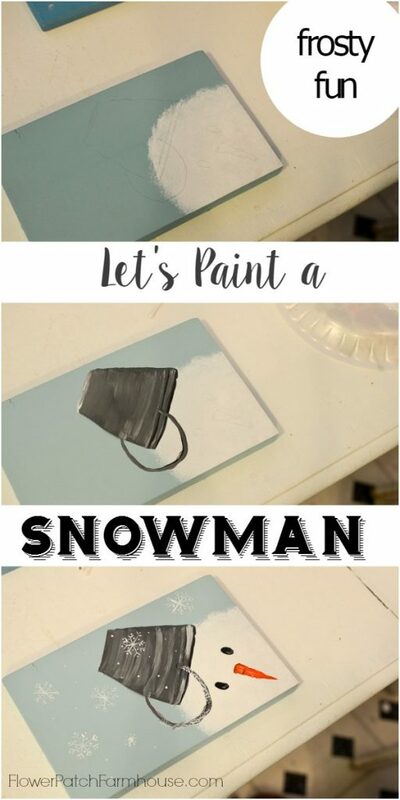 Let’s paint a snowman! 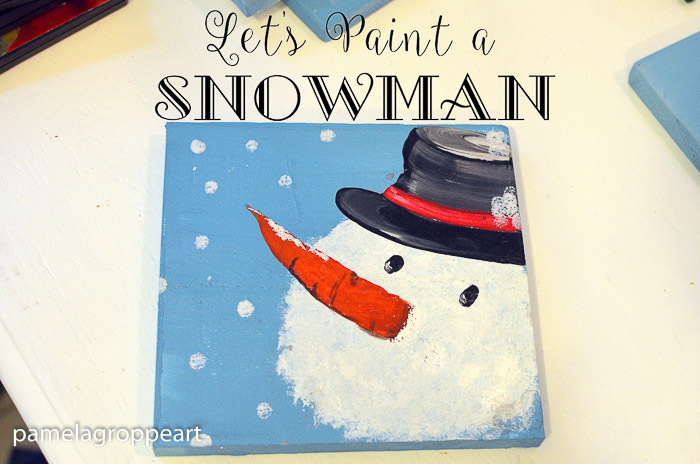 An easy step by step tutorial with a video link at the end so you can easily paint a snowman yourself. 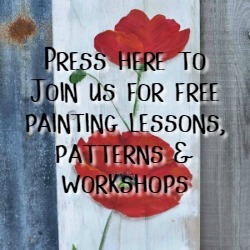 Create signs, paint on fabric or have a paint party. Let’s paint a snowman! 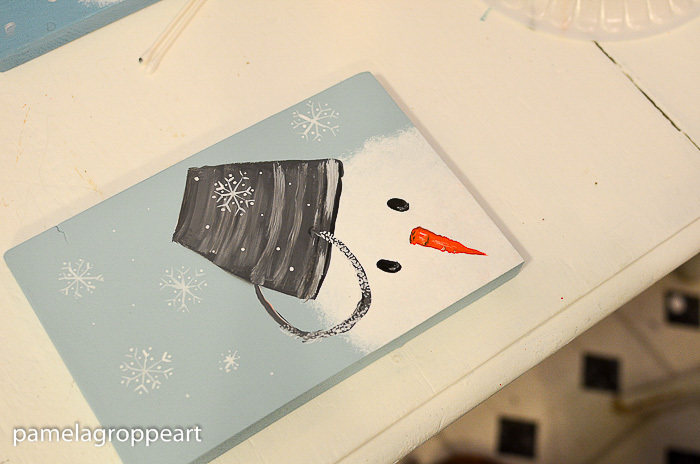 I love painting a snowman or snow woman, in various ways. I will post a full body version soon but you will enjoy this little guy too. 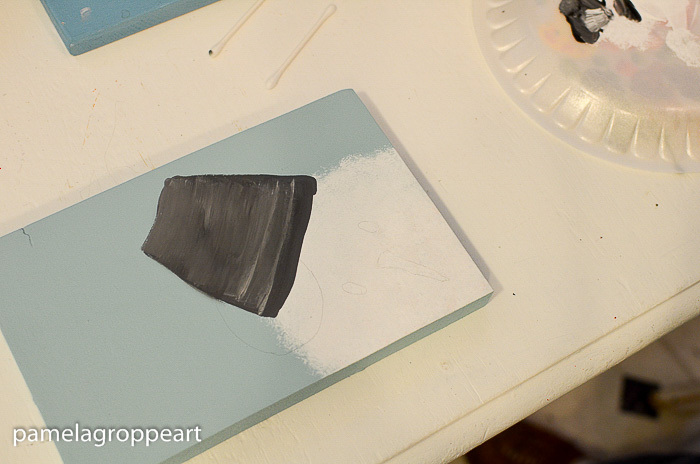 I painted on wood scraps I had on hand but you can use small canvas, paper or whatever your heart desires. A full list of supplies is shown below. I base painted the surface with Sky Blue, any light blue will work. Actually any color you want will work other than white for obvious reasons. 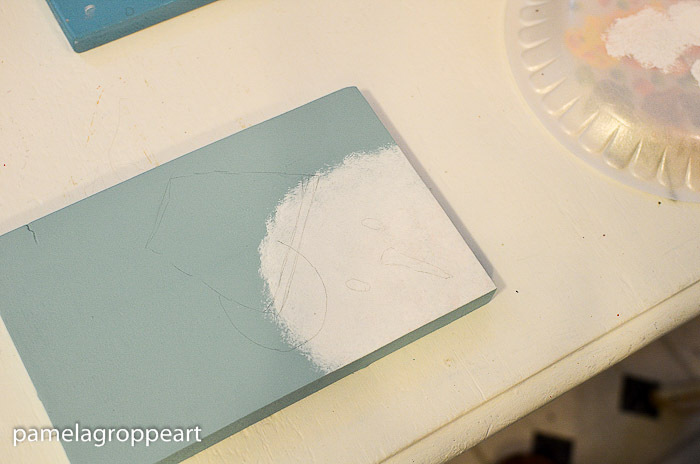 Using the scruffy brush, tap on the white paint in a circular pattern, as if the snowman is peeking in from the side. You can sketch on his hat, in this case I wanted it to look like an upturned bucket. I double loaded my #12 flat brush with black and some white and blended it a bit then stroked it on the surface in horizontal lines. I fill it all in and blend the colors a bit more by stroking back over it. I add a couple of lighter lines with the chisel edge of my brush to be the ridges on the bucket. With my liner I paint on the handle of the bucket in a mix of black and white paint. I decided my bucket was much too dark and added in some streaky white to lighten it, then added some darker lines with the chisel edge of the brush for the bottom edge and along the one ridge where the handle meets the bucket. His eyes are just little black ovals. His carrot nose in stroked on in orange, the edges are rough and not a straight line. 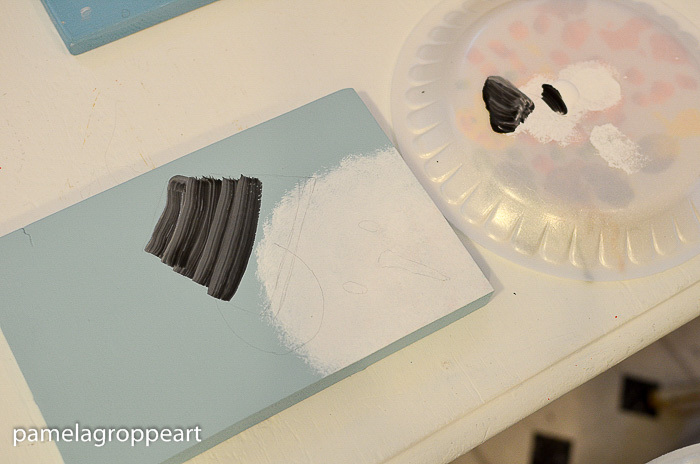 Add come diluted white streaks and the burnt umber lines in inky paint with the script liner. It just gives his carroty nose some character. 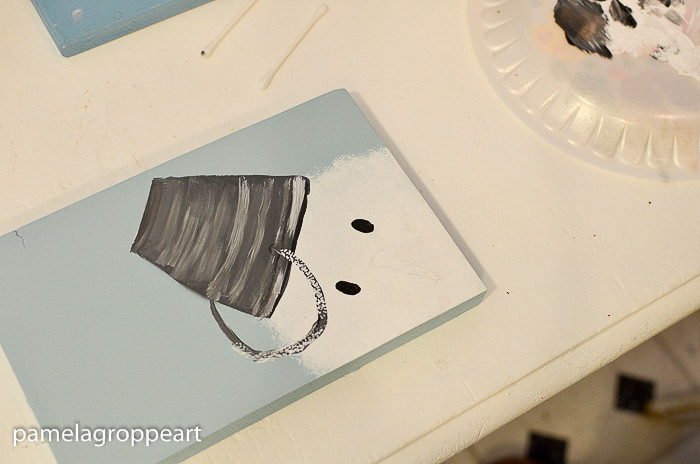 I added a bit of frost to the bucket and handle with the small scruffy brush and white paint tapped on. Note: the set linked to above has a script liner in it, I am just so ham handed I need a much skinnier one so I linked to the skinnier one below but you could do just fine with the one in the Donna Dewberry set. The flat brushes you will need are also in the set above. 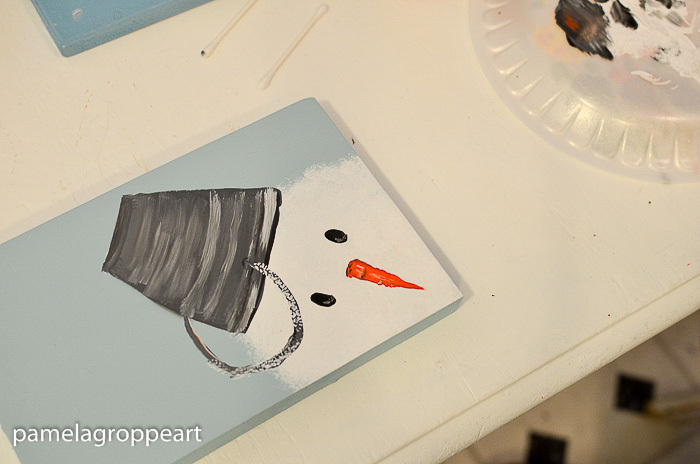 I’ve painted the little snowman and it turned out too cute. I wish there was a way to show him to you. Thank you for the tutorial. 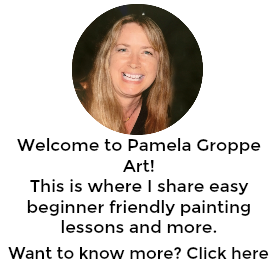 If you aren’t on Facebook you could email it to me at pamela (at) pamelagroppe.com. I would love to see it!